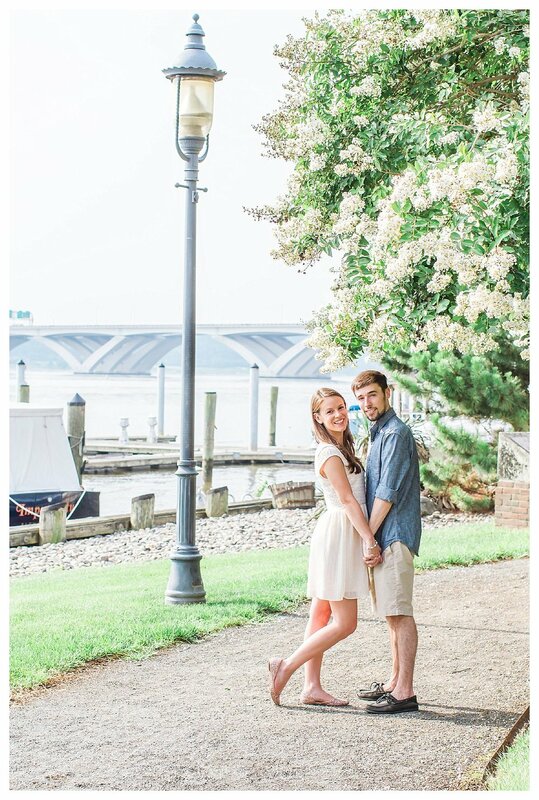 Alisa and Zak met me at the Torpedo Factory in Old Town Alexandria on a very warm July morning. 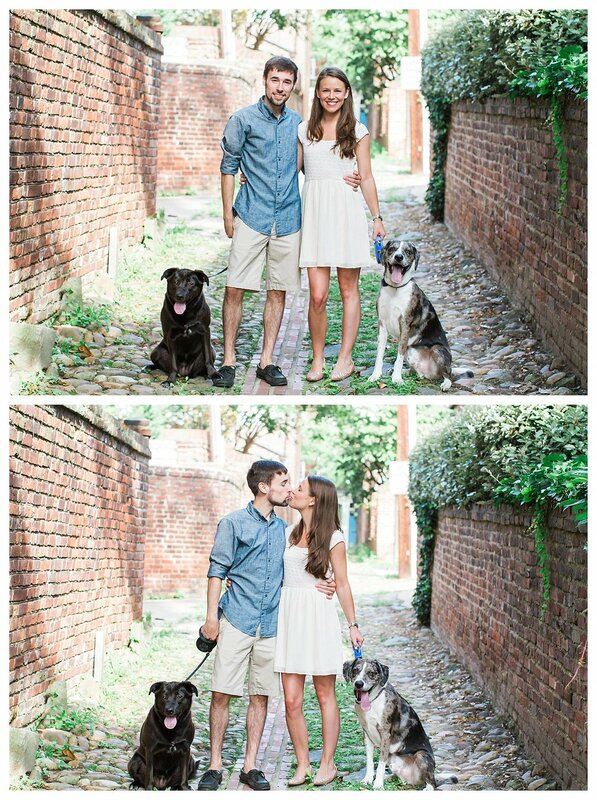 I know I always say it, but please bring your fur babies to your engagement sessions! 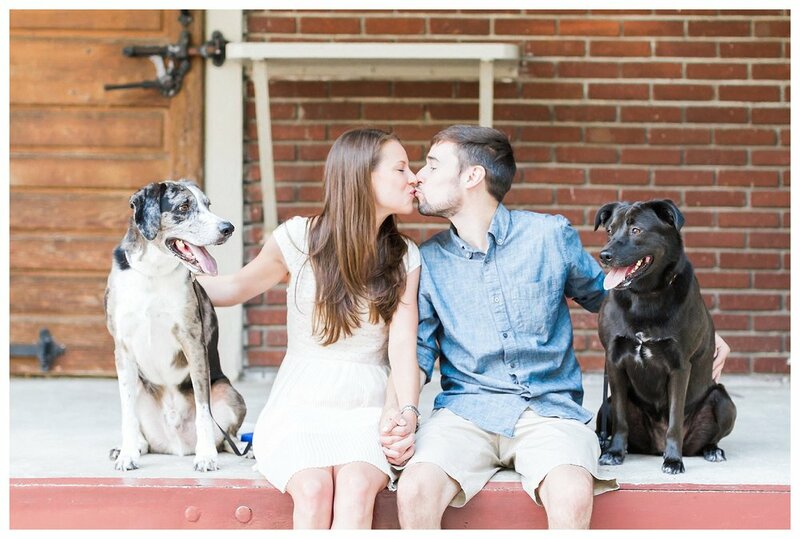 Omg these two brought their pups and I am so in love with how their photos turned out! 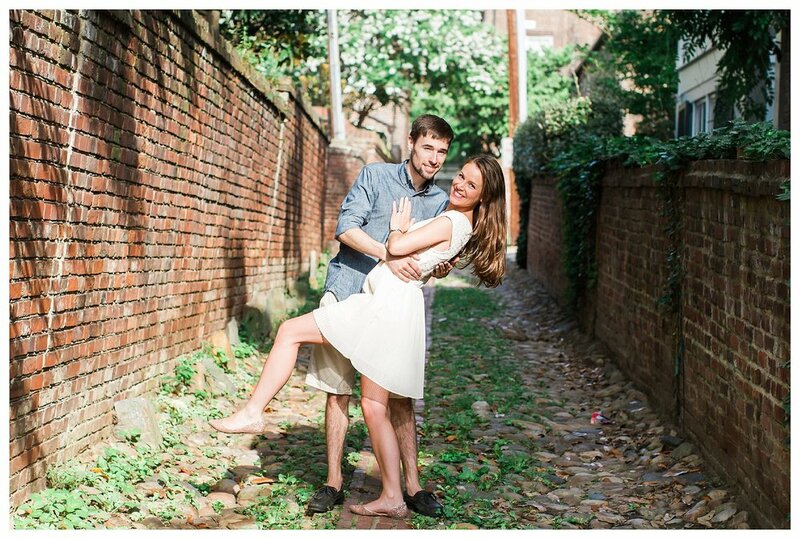 The light this early in the morning and the cooler temps are absolutely worth getting up early! I promise! 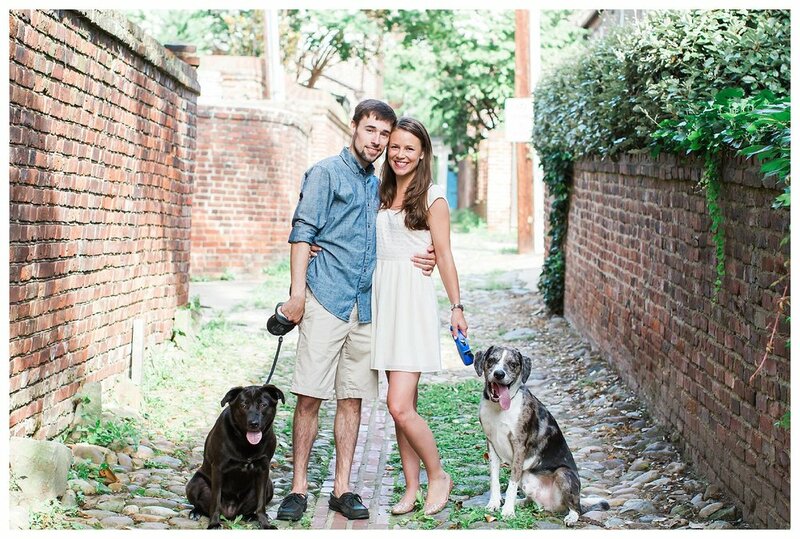 If you love puppies, and anything to do with Old Town Alexandria, then this engagement session is for you! 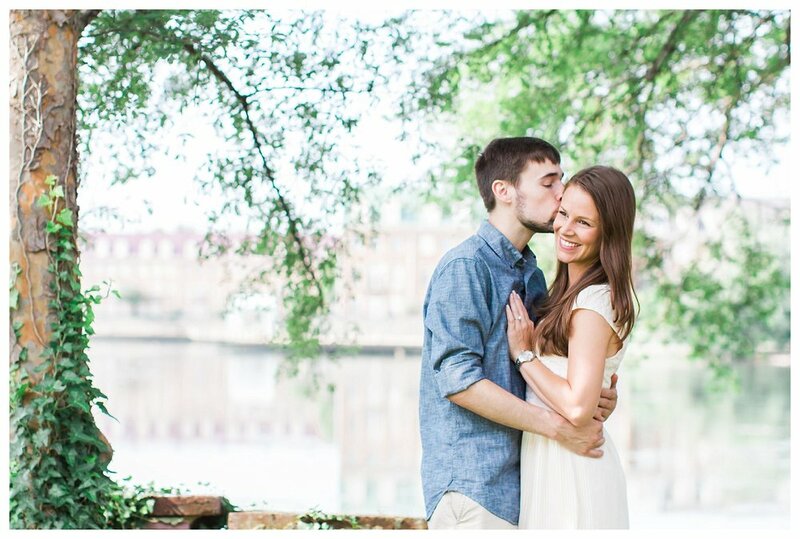 I absolutely love shooting here, it never gets old.